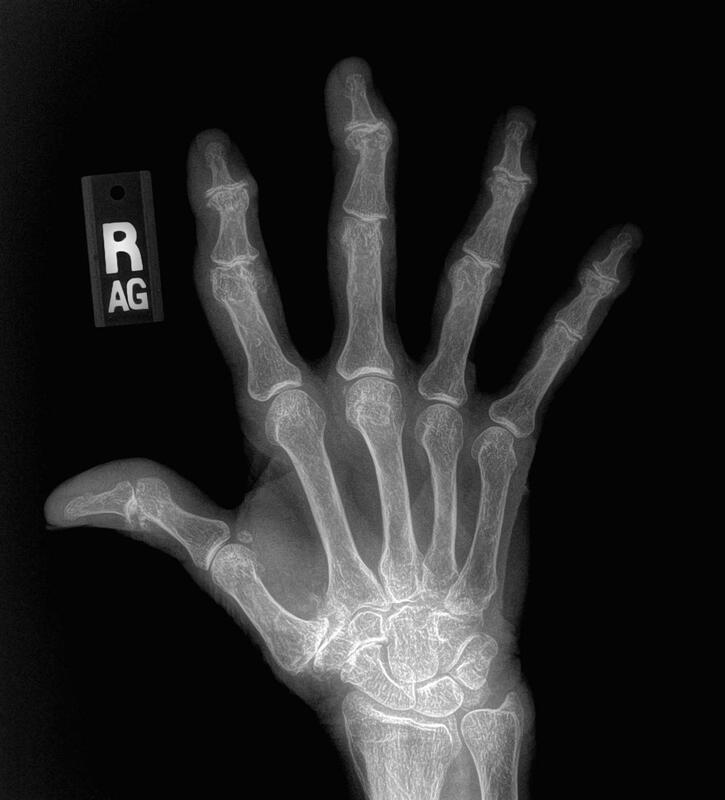 Arthritis is typically diagnosed on x-rays. Osteoarthritis (OA) is the most common form of arthritis and is related to wear-and-tear processes, genetics, injuries, and it is a normal part of the aging process. An arthritic joint will demonstrate narrowing of the space between the bones as the cartilage thins, bone spurs or calcium deposits on the edges of the joint, small cysts within the bone, and sometimes deformity of the joint, causing it to look crooked. 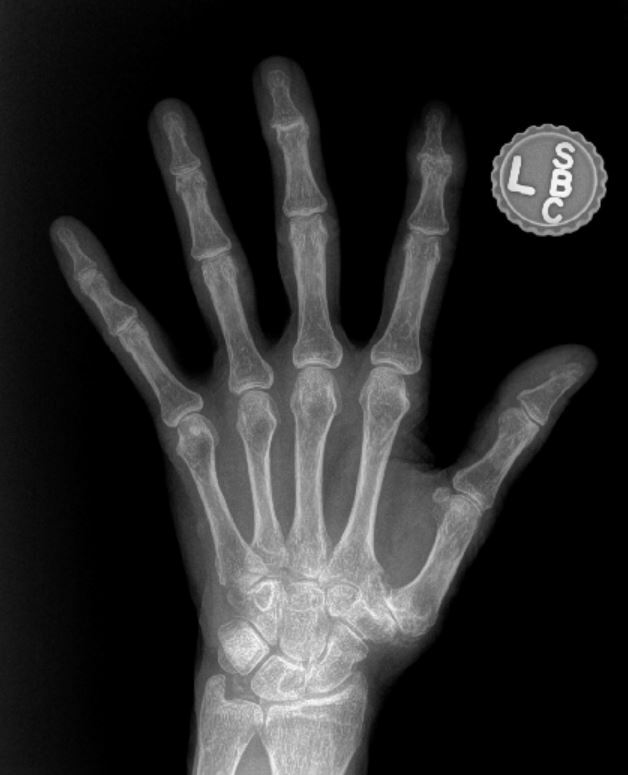 See the x-rays for common findings in osteoarthritis of the hand and compare to the normal hand x-ray shown in the top image. 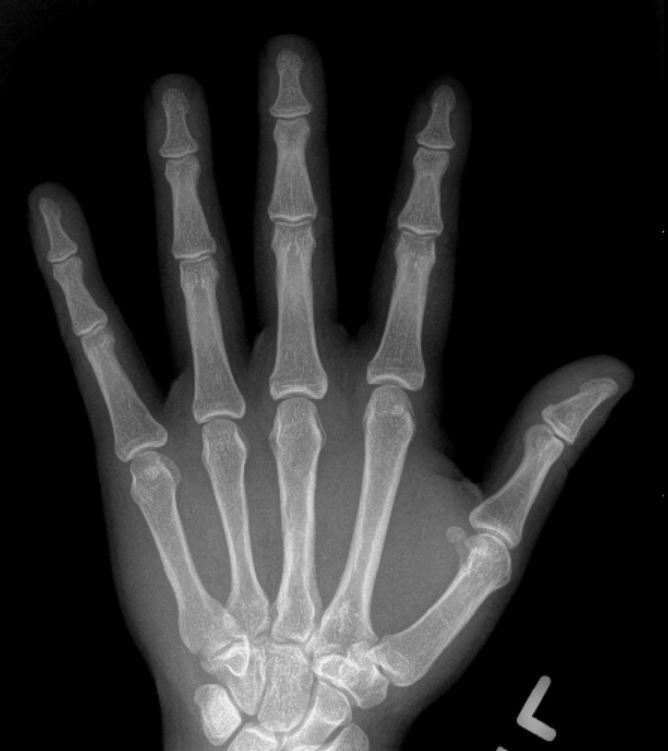 The joints closest to the fingertip (DIP joint) and the joint at the base of the thumb (thumb CMC joint) are the most common joints in the hand affected by osteoarthritis.